It is late on a Monday night. We just finished our kickoff dodgeball event after several weeks of contact work. A week from tonight our traditional clubs will begin again. 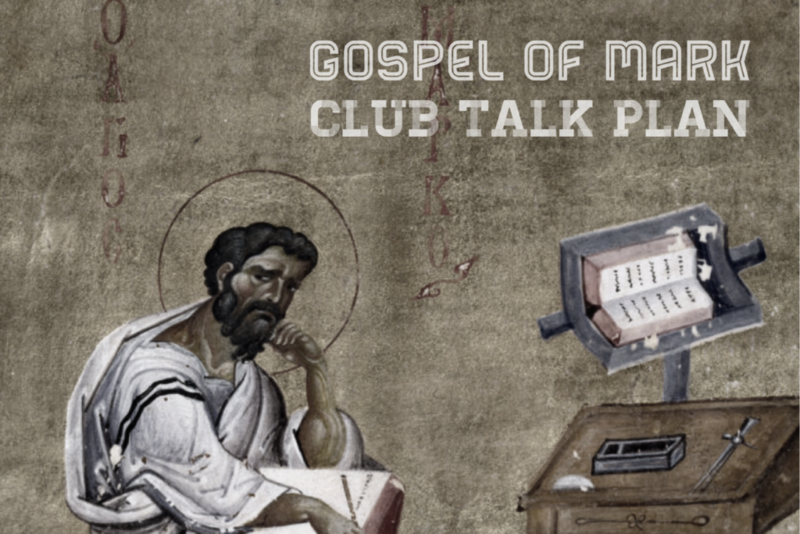 For many of the clubs in my area we will be turning to the Gospel of Mark for our club talks this year. This will be the fourth, and final, year of my Talk Tuesday series since I have already completed the other three gospels. If you are curious how this works out in our Fall 2018 club sequence, you can see our rough semester schedule here: PHS Club Plans Fall 2018. I pray that this is your best year of club talks ever!